After keeping a fairly low profile for most of last year the releases are now coming thick and fast from me. In addition to the release on Phonospheric that I mentioned earlier I have another out today on Northampton label Dark Meadow Recordings. It's another slow drone piece but with significantly less isolationist tendencies than the other one. the new Quiet World Radio mixcloud is now up. I said at the beginning of the year that it was gong to be a busy year for me well I have a new album available via my good friend Adrian Shenton's Phonospheric label. 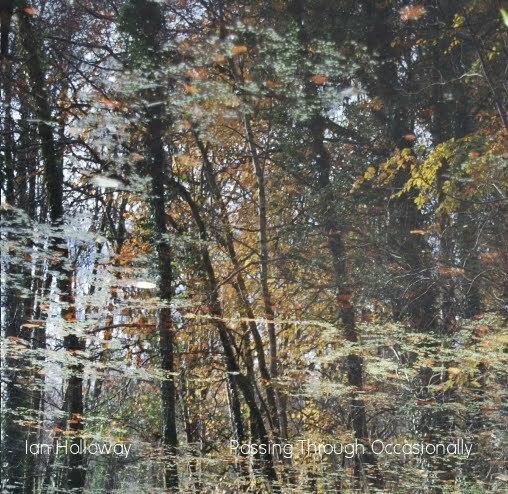 It's called 'Passing Through Occasionally' and it's a long slow sleepy drone piece. Some of you may remember Adrian from his Measuring of Moments cd I put out on Quiet World the other year, Phonospheric is his label. he's already put out one cd of his own music and as of today he has another available too called Slowtime. Adrian sent me an advance copy the other month and it's really a rather fab set of clean, bright ambient pieces. well worth a listen.